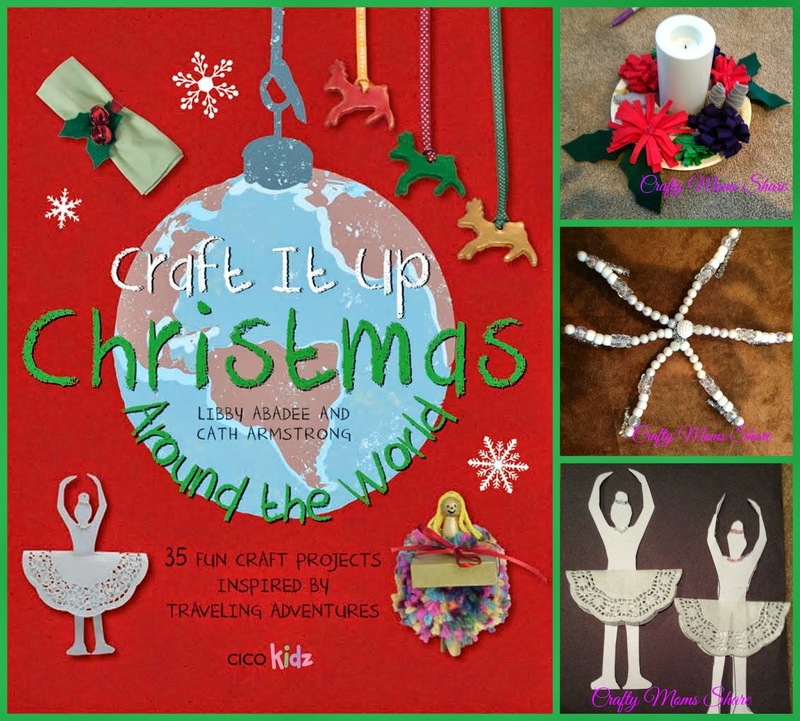 Today I am going to share with you a fun Christmas craft book that helps teach a little bit about various countries around the world. 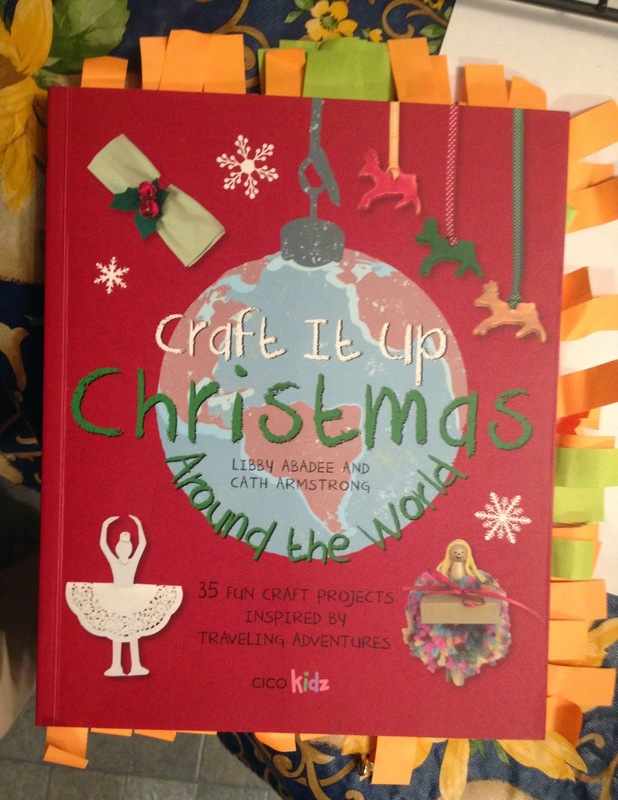 In August of 2013, I had the pleasure of reviewing Craft It Up Around the World. 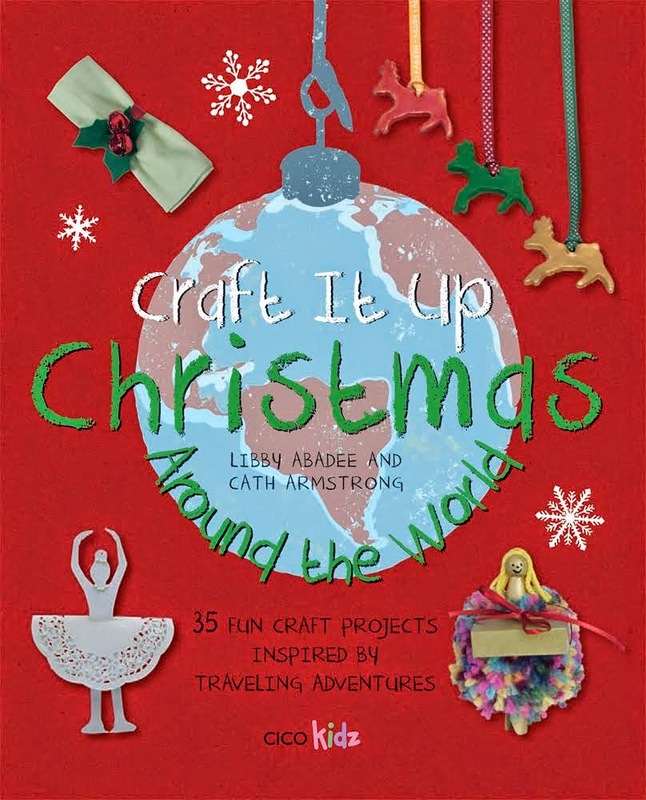 Now the same authors, Libby Abadee and Cath Armstrong have a second book published, Craft It Up Christmas Around the World. Before she started marking, we did one craft however. I knew she would love the Rockefeller Ice Queens craft from the United States. We have not added the threads to any of the ornaments we made yet (I have been lazy). The craft is an easy one. A template for the skater is provided. I copied it onto cardstock and then we cut them out. 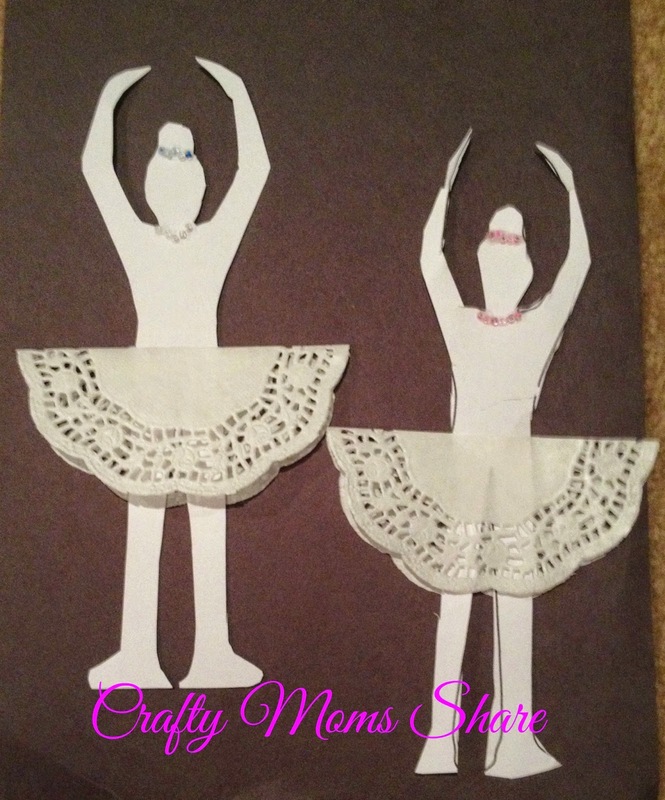 The skirts are doilies and then the beads add some decoration. Hazel talked about drawing on faces, but never did. The fun fact was about the opening of the ice rink in Rockefeller Center in New York City. Our second craft was the "I'm Dreaming of a White Christmas" Snowflakes representing Argentina. 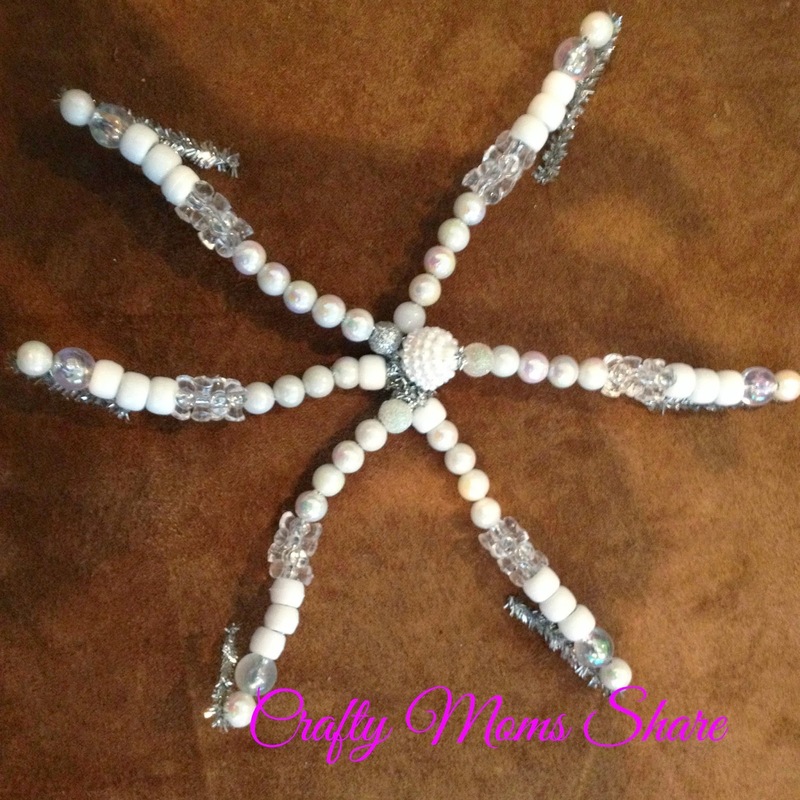 We had fun searching through the beads for clear and white ones and added some silver sparkles as well. Hazel grew bored of beading hers, but I noticed her working on it this morning again. I am thinking we will hang them for her Frozen themed birthday party this year! Hazel had fun coming up with patterns for each branch. I love watching her make her patterns like she does in school. The tidbit relating this craft to Argentina is that with the European influence in Argentina, they decorate their trees with cotton and such to represent snow. 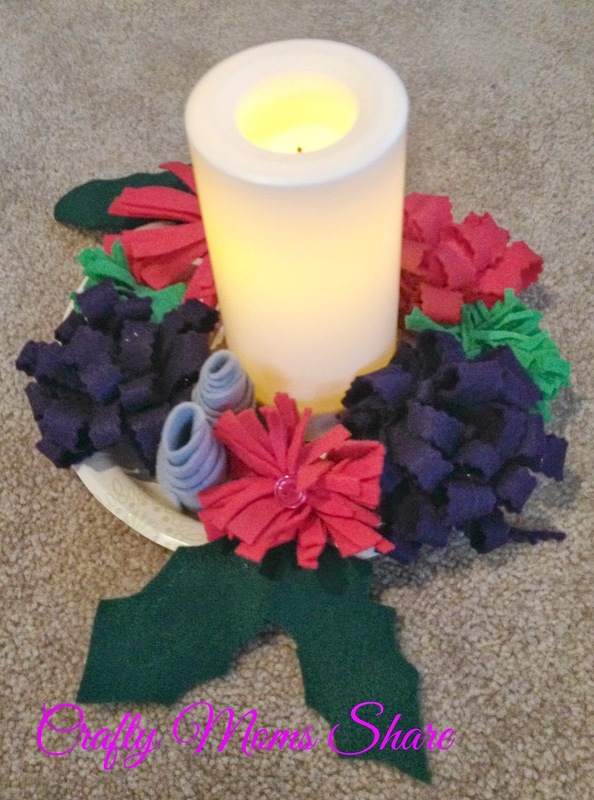 The third craft (and last one we finished so far) is the Sweetness and Light Centerpiece representing Colombia. I was a little surprised that Hazel wanted to do this one as one of her top three. We changed it a bit. I knew Steve would not like us using a real candle with felt around it and Hazel can turn on and off the battery operated ones, so we used a white batter operated one. We also did not have purple-red felt, so we used purple felt. We also did not sew the line on the leaves since I could not find my green floss. 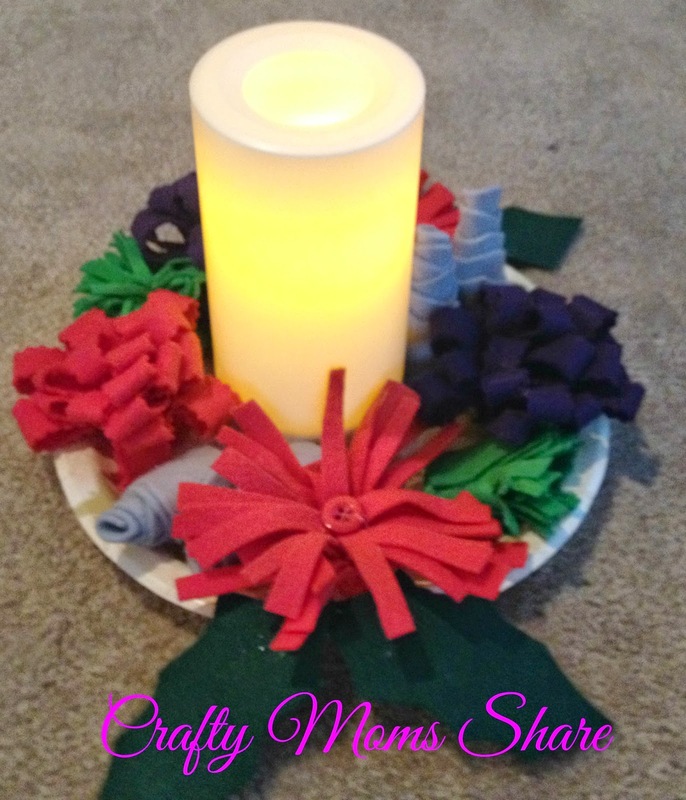 Since we did not use a real candle we also used a paper plate as our bottom instead of a cork circle. As a result we had to add a flower. Hazel had fun cutting the fringe for the fringe flowers while I cut the other pieces and did the hot gluing. 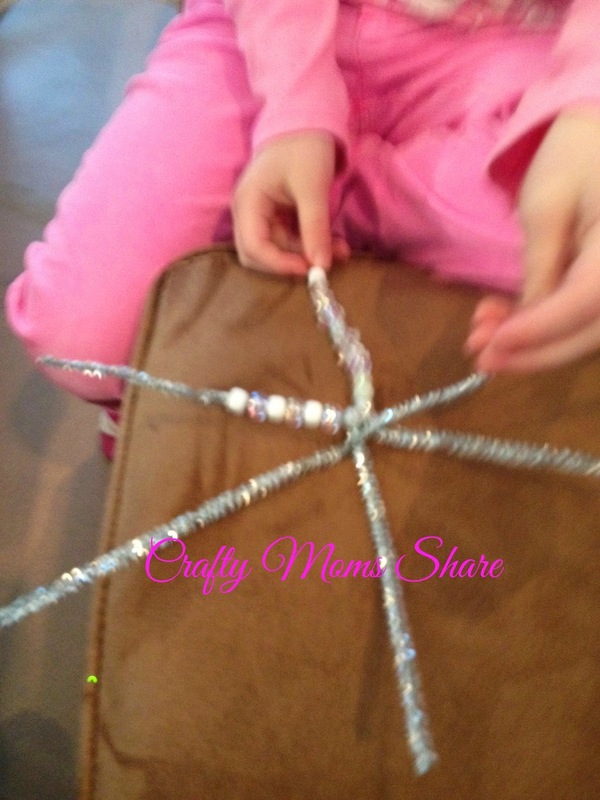 She is so proud of this craft and has been telling everyone about it. The candle related to Colombia since the official Christmas season starts in Colombia with the Day of the Candles--December 7th. We also started her third favorite which is "Make a Scene" Terrarium representing the Czech Republic. Since it is a more detailed craft that is going to involve more from me, we did not get very far. We made the snowman for her terrarium so far. Next we will make the skater and then find the right jar to put it all in. The connection to the Czech Republic is that ice skating is very popular there at Christmas time. I have to recommend this book for anyone who likes fun crafts and especially Christmas crafts. 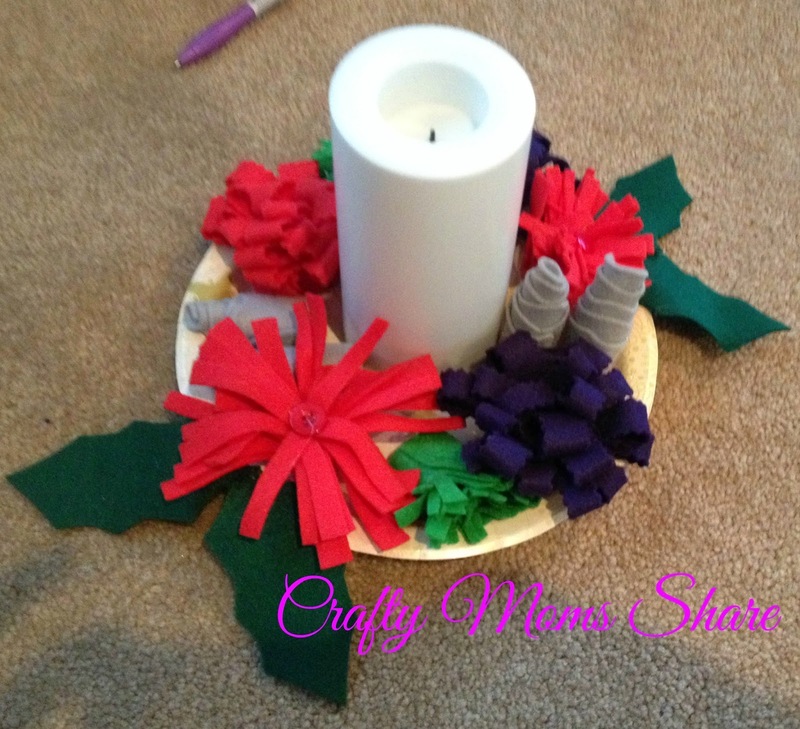 We have had so much fun making the few crafts we have already done, and I know we will be making more from it. Although I do not feel like it shares as much information about the countries as the first one, I do like the Fun Facts they do share. It gives just a tidbit of the information, but that is always enough to spark interest and perhaps do a bit more research to learn more about each country. Many of the craft ideas are new and fresh and not what I see everywhere. As you can tell from how our book looks, we will be working on more of their ideas over the next month and a half.